Every reader should closely watch Germany. This nation is experiencing changes that will reshape the country and the whole of Europe. Yet, remarkably, most of the world is asleep to these dramatic developments. On October 29, German Chancellor Angela Merkel announced her plans to retire from German politics. In December, she stepped down as the leader of Germany’s Christian Democratic Union. However, she wants to remain chancellor of Germany until the next election, scheduled for 2021. Many are skeptical of her plan. To be chancellor, but not party leader of the main governing party, is very unusual. There are several ways Merkel could be forced out of office well before 2021. Until then, she is a lame duck leader. Germany’s chancellor now lacks the full support of even her own party, and her term in office has a clear expiration date. Merkel’s political position, in both Germany and Europe, has been getting weaker for some time. Germany today is crying out for a stronger leader, and the European Union wants stronger leadership and direction from Germany. Now that Merkel is on her way out, Germany and Europe are more lost than ever. This is a crucial, historic time for the Continent. Its migrant crisis and financial troubles threaten to explode. Radical Islam is now deeply entrenched and could launch further attacks at any moment. And now, there is no strong leader at the helm. Can you see why we need to watch Germany? “It is not only in Berlin that decision-making is getting fiendishly difficult,” wrote the Telegraph. “Brussels has relied on Merkel to give a lead in moments of crisis …. With no one really in power in Berlin, Brussels lacks a firm hand to whip in the rest of Europe” (Oct. 29, 2018). Germany’s political crisis is sure to get worse. Significant segments of the German people now support extreme political parties, such as Alternative für Deutschland and Die Linke (The Left). Meanwhile, support for the mainstream political parties is tanking. It will be difficult for Merkel’s successor, whoever it is, to gain broad popular support. Commentators see no way out of this crisis. “Germany’s immediate future appears to be somewhat like many other European countries’—a shifting electoral landscape, unstable governments, attempts at trial and error that lead to deadlock,” Bloomberg warned (Oct. 29, 2018). The warning from Geopolitical Futures was more dramatic: “What is clear is that Germany is tired of its political leaders but uncertain of who should replace them. This kind of political uncertainty might not matter in most countries, but in Germany, the beating heart of Europe, it has profound international implications” (Oct. 29, 2018; emphasis mine throughout). We have been warning about this exact moment for many years. The end of Merkel could be a turning point not just for Germany, but the whole world! 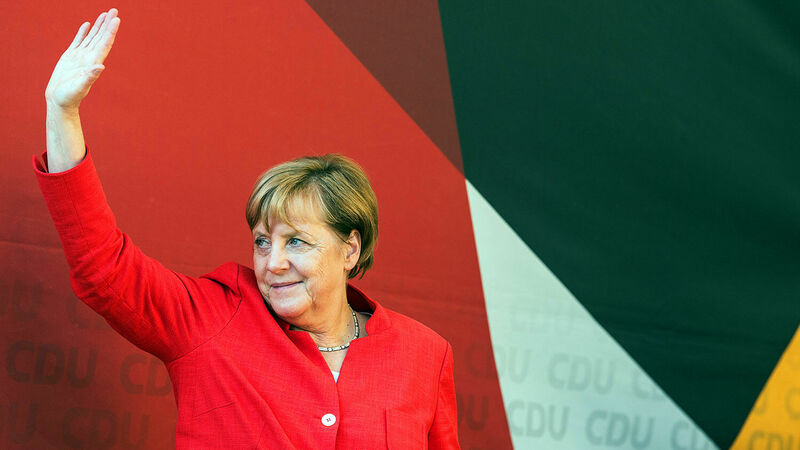 Since 2015, Chancellor Merkel’s Christian Democratic Union and her sister party, the Christian Social Union, have suffered multiple unprecedented electoral setbacks. In September 2017, Germany’s mainstream parties did so badly in the federal election that it took six months to cobble together a coalition—this was the longest Germany had been without a government since 1945. Chancellor Merkel’s unpopular pro-immigrant stance caused the dramatic rise of the anti-migrant Alternative für Deutschland (AfD). Polls show the AfD is now the nation’s second-most popular party. These shifts should awaken the whole world to what is happening in Germany! German discontent and anger are soaring. If you understand history and the national character of the German people, you know this has serious implications for this powerful nation at the heart of Europe! 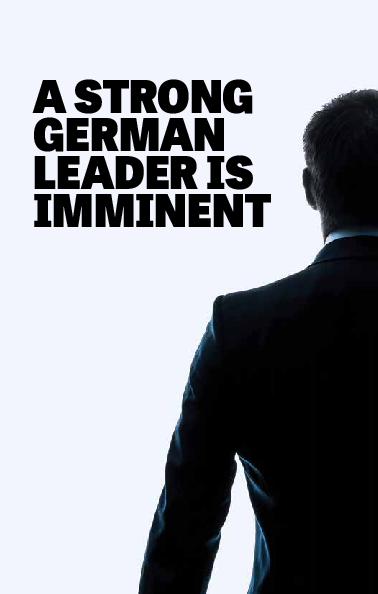 There is a strong demand for a new leader in Germany. People can’t agree on what his policies should be—but they want someone different from Merkel, and someone with vision. “[O]ne thing has played virtually no role” in Merkel’s politics, wrote Foreign Affairs: “a true political vision of her own” (Nov. 2, 2018). The Bible prophesies that Germans will get that leader. It even describes the political conditions that will bring this man to power—and these political conditions are very similar to the political conditions now present in Germany and Europe! Daniel 8 is one of the most astonishing prophecies in the Bible, and you need to understand it. The book of Daniel was written only for the end time (Daniel 12:4, 9). The last part of Daniel 8:17 says, “for at the time of the end shall be the vision.” It gets more specific in verse 19: “And he said, Behold, I will make thee know what shall be in the last end of the indignation ….” God wants us to realize the urgency of this prophecy. He talks about not only the end time, but the last end—the end of the end time! Daniel prophesies that a strong leader will rise to power in Europe, or what is termed in Daniel 11:40 “the king of the north.” “And in the latter time of their kingdom, when the transgressors are come to the full, a king of fierce countenance, and understanding dark sentences, shall stand up” (Daniel 8:23). God calls this leader “a king.” Again, this man leads “the king of the north,” this European superpower. Look through history, and you will find six resurrections of that Holy Roman Empire. Today the seventh resurrection is staring us in the face—yet people still don’t know what it is. That is amazing. Not even the people who live under it know it. We must be familiar with the Holy Roman Empire! Look through history, and you will find six resurrections of that Holy Roman Empire. Today the seventh resurrection is staring us in the face—yet people still don’t know what it is. “We do possess a European symbol which belongs to all nations of Europe equally,” Mr. Habsburg said. “This is the crown of the Holy Roman Empire, which embodies the tradition of Charlemagne.” The coming king in Europe will assume that crown. This soon-coming ruler could literally be called a king. Even if he is not, the Bible gives him that title. When the Bible talks about a king, in most cases it is not referring to a democratic government. Even if this man doesn’t have the title of “king,” he will lead like an absolute monarch, like an authoritarian king right out of the Middle Ages. Daniel’s vision shows that the leadership of Europe is about to become a lot more authoritative. It’s not hard to imagine this happening, considering the growing appetite within Germany and Europe for exactly this type of leadership. Notice how this man is characterized. He has a “fierce countenance,” meaning he’s mighty, powerful and cruel. He has an “understanding [of] dark sentences.” Clarke’s Commentary says, he’s “very learned and skillful in all things relating to government and its intrigues”—a cunning politician. He inherits the throne of Europe “peaceably,” obtaining his kingdom by “flatteries.” He is crafty and sly, with a brilliant mind and an engaging, attractive personality. The Jamieson, Fausset and Brown Commentary says “the nation shall not, by a public act, confer the kingdom on him, but he shall obtain it by artifice, ‘flattering.’” In other words, a deceived public, or a group of European leaders, likely invites this man into power. Current conditions in Europe, including the refugee crisis and the turmoil in German politics, provide probably one of the greatest opportunities ever for a new leader to come into power “by flatteries.” Chancellor Merkel is on her way out and is now a lame duck. Expect political and social crises in Germany and Europe, and public resentment and anger, to grow even deeper. Then watch for a strongman to take advantage and make his way to power through flatteries! This is an important question. In 1914 and 1939, Germany started two world wars. In the First World War, some 16 million people were killed; and in the Second World War, another 60 million people. This makes the issue of Germany’s leadership and behavior vital for the whole world. History tells us that we must watch Germany and look for signs that it could start another war! This has been the case throughout history. Germany will only go to war if it has the power. But power alone is not enough. The German people need a strong, authoritarian man to lead them. Today, Germany has great power. It dominates and even domineers Europe. But it lacks a strong leader. And it isn’t about to jump into a major war or do anything too radical until it has that strong leader. Germany has always needed a confidence-inspiring leader. And when that strongman is present, the nation can change quickly and radically! Clearly he is unafraid to criticize his former boss, and he’s unafraid of going to war. His strong words against Merkel no doubt resonate with many Germans! Those are strong words. Clearly he is unafraid to criticize his former boss, and he’s unafraid of going to war. His strong words against Merkel no doubt resonate with many Germans! Guttenberg has proved himself politically. As defense minister, he reformed the German military. He got rid of conscription, which had provided Germany with a large, but not very mobile army. Guttenberg wanted to build a nimble army that could visit hot spots around the world and intervene to protect Germany’s economic interests. He said the military needed to be Germany’s “first priority.” He even advocated uniting Europe’s militaries into a single military power. Today Europe’s militaries are increasingly working together, just like Guttenberg wanted. Guttenberg knows Germany would lead such a united European army, because it already leads Europe! Daniel 8 tells us more about this coming leader: Verse 25 says that “through his policy also he shall cause craft to prosper in his hand”—he is deceitful—“and he shall magnify himself in his heart, and by peace shall destroy many.” In other words, this man talks about peace all the time, but then he launches battles and wars! Could Karl-Theodor zu Guttenberg fulfill this prophecy? There are certainly some good indications that he could, coming even from these German journalists and writers. But the Bible gives us yet another reason. Note the time element of this prophecy. These “seven kings” are seven successive resurrections of this Holy Roman Empire. But notice, this verse focuses our attention on a specific moment: the time when “five have fallen” and “one is living” (Moffatt). It draws our attention to the time period of the sixth of those seven resurrections. Study history, and you can see exactly what each of the resurrections was: the Imperial Restoration of a.d. 554; the Frankish Kingdom of 774, dominated by Charlemagne; the Holy Roman Empire of 962; the Habsburg Dynasty of 1520; Napoleon’s kingdom of 1805. The sixth head of this Holy Roman Empire was on the scene during World Wars i and ii, culminating in the rule of Adolf Hitler, one of the most brutal leaders this world has ever known. Why would verse 10 focus on the sixth head in particular? Because the meaning of Revelation 17 was revealed when the sixth head was on the scene! Herbert W. Armstrong was converted in 1927 and started his powerful religious work in the 1930s. Mr. Armstrong was the end-time type of Elijah prophesied by Jesus Christ in Matthew 17:10-11; he came on the scene and “restored all things”—including the understanding of biblical prophecy we need to understand for that period of time! God began working with Mr. Armstrong at virtually the same time Adolf Hitler wrote Mein Kampf and began taking over Germany. Mr. Armstrong came on the scene during the terrifying sixth head of the Holy Roman Empire! He was alive and working hard when the sixth resurrection of the Holy Roman Empire was devastating Europe. And Mr. Armstrong began prophesying about the seventh and final resurrection of the Holy Roman Empire even before World War ii had ended! Revelation 17:10 doesn’t just reveal the Holy Roman Empire—it reveals God’s end-time Elijah! It reveals where God’s true Church is. Herbert Armstrong warned relentlessly about the seventh and final resurrection of the Holy Roman Empire right up until he died on Jan. 16, 1986. In his lifetime, one of Germany’s most powerful postwar politicians was Franz Josef Strauss. Mr. Strauss talked all the time about Europe’s need to resurrect the Holy Roman Empire. Whether he realized it or not, Strauss was talking about the seventh head of that empire. Revelation 17 discusses the Holy Roman Empire and gives special attention to the events surrounding its seventh and final resurrection. Verse 10 is vital for understanding the coming strongman of Europe. Remarkably, Franz Josef Strauss was a close friend of Herbert W. Armstrong. He even visited Ambassador College in Pasadena, California, where Mr. Armstrong was chancellor. Strauss described that visit as the happiest day of his life and told Mr. Armstrong, “We need an Ambassador College in Germany.” Isn’t this remarkable? I do not believe it was a coincidence that there was a connection between Mr. Armstrong and Mr. Strauss. In July 1983, Mr. Armstrong also befriended Otto von Habsburg when Habsburg visited Ambassador College. Mr. Armstrong led a tiny college and a tiny Church, by this world’s standards. Yet he hosted Strauss and Habsburg, the most significant leaders in Europe regarding the Holy Roman Empire. Why? It is because Mr. Armstrong is indirectly the focal point of Revelation 17:10. But the story gets even more interesting. Franz Josef Strauss was the political mentor of Edmund Stoiber, the prominent Christian Social Union politician who almost became chancellor of Germany before Angela Merkel did. And Mr. Stoiber was a mentor of Karl-Theodor zu Guttenberg! What is going on here? It all revolves around Revelation 17:10, and I believe God is helping us see who this strongman is. Baron Guttenberg’s aristocratic title is Reichsfreiherr, meaning “Baron of the Holy Roman Empire.” He comes from a line of aristocratic elites who have played a devastating role in German history. Is that just a coincidence? 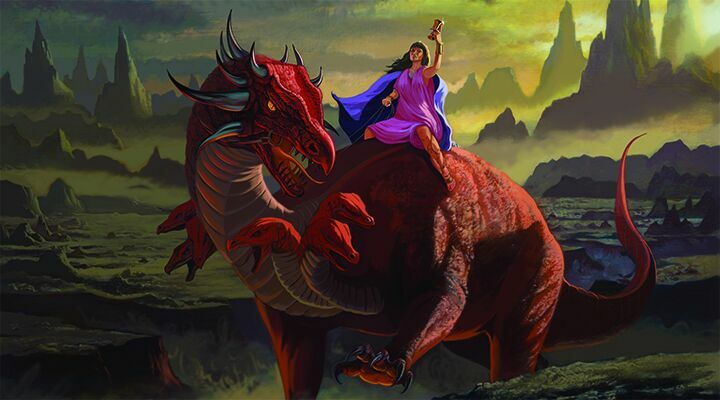 The books of Revelation and Daniel point to some very dark times in the near future. Bible prophecy says that this strongman leads the whole world into unprecedented nuclear Armageddon. But it also points to good news just beyond the dark time—and this good news totally eclipses the negativity! Just a few verses after Revelation 17:10 comes this: “These shall make war with the Lamb [speaking of Jesus Christ at His return], and the Lamb shall overcome them: for he is Lord of lords, and King of kings: and they that are with him are called, and chosen, and faithful” (verse 14). This prophecy ties directly to the Second Coming of Jesus Christ! He will return to stop the Holy Roman Empire from causing even more bloodshed. This is an important perspective to remember. The prophecy in Daniel 8 leads to the same conclusion. Verse 25 reads, “[H]e shall also stand up against the Prince of princes; but he shall be broken without hand.” Jesus Christ will supernaturally destroy the terrible empire this man commands! Events in Germany and Europe indicate that the seventh and final resurrection of the Holy Roman Empire is now here! This is sobering, yet incredibly exciting. The presence of the Holy Roman Empire means that Christ is about to return to Earth to bring an end to the destruction. He prophesied in Matthew 24:21-22 that if He didn’t return, no flesh would be saved alive! Mankind cannot stop the violence that is coming. But Christ is going to return—and He can and will stop it! Only Jesus Christ can give humanity the peace, joy and happiness that has always eluded us. These developments show that end-time Bible prophecies are rapidly being fulfilled! Events right now in Germany are rapidly leading to this hope-filled conclusion.